by Damien Stevens & Jodie Belleville . Damien and Jodie return with their second vintage of the highly anticipated Semillon, and just in time for summer! Their outstanding fruit source has ensured a classic style, capturing the light floral lift that has made Hunter Semillon renowned for so long. This wine is has buckets of beauty, both inside and outside the bottle! Bright citrus and lemongrass notes will dance around your tongue. Before you know it, a super clean line of crunchy acidity will kick in, making it the perfect white to match with fresh seafood. 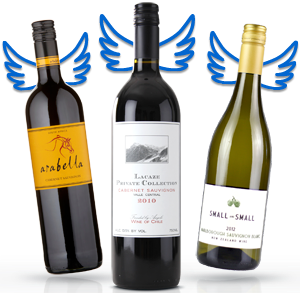 You'll be hard pressed to find a Hunter Semillon of this quality for under $14 anywhere. 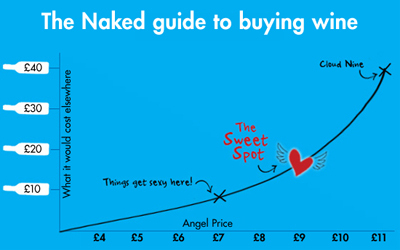 As with any boutique batch Naked wine, stocks can't last with so many thirsty Angels! Get in quick and enjoy all the fun of the Fuzzy & May dream.